The Chaverim Unit is for teen campers with special needs and provides them the opportunity to participate in an awesome camp experience! 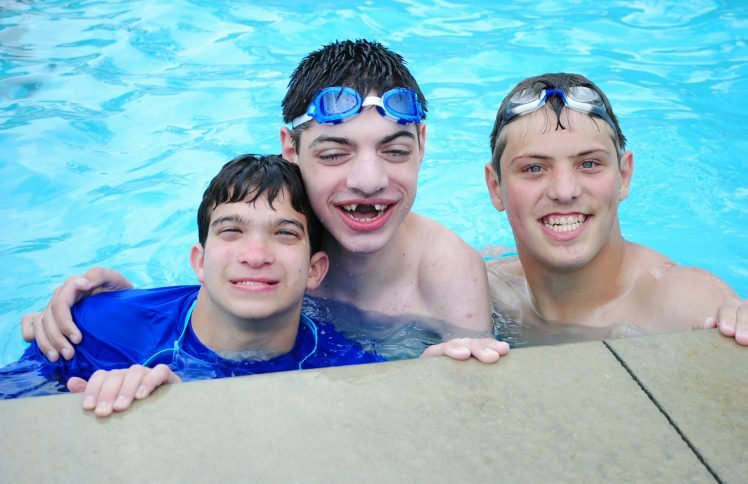 Key factors of our program include staff with special needs experience, a very low camper-to-staff ratio, and access to our many wonderful camp activities. Campers will also participate in a weekly day trip to an Atlanta area attraction. The Chaverim program will provide opportunities for teens to practice social and daily living skills in a fun and supportive environment. Placement of each camper is determined through an intake process, which takes place prior to enrollment. We must have a minimum number of campers enrolled for this program to occur. Please contact Sarah Scheuer at sarah.scheuer@atlantajcc.org or 678-812-3886 for more information.